This one hurts. This one hurts a lot. 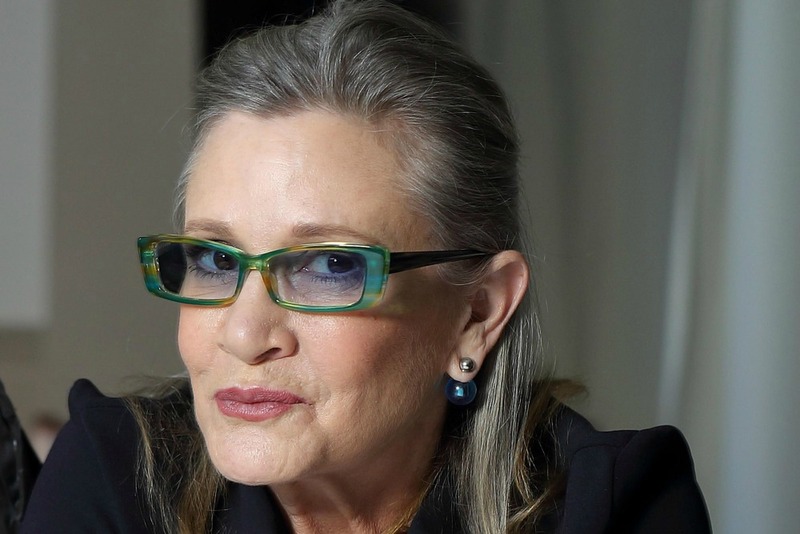 As most of us know, Carrie Fisher went into cardiac arrest on December 23 during a flight from London to Los Angeles. She passed away this morning at the age of 60. Naturally, Star Wars fans have reacted very strongly since Fisher’s heart attack. There’s been a lot of stuff to the effect of, “2016, don’t you dare take Princess Leia from us!” Plenty of animated gifs of Luke Skywalker screaming “No!” in The Empire Strikes Back, Darth Vader doing the same in Revenge of the Sith, etc. It’s all done with good intentions. But I really wish people would stop. It goes without saying that Carrie Fisher will be remembered most for Star Wars. It’s one of the most iconic roles in cinematic history, and Disney will continue slapping her likeness on t-shirts, posters, action figures, and what not for decades to come. Her performance inspired many, and it’s a great thing for little girls to see. But Carrie Fisher was so much more than Princess Leia. Fisher’s sharp-tongued wit was like no other, as she illustrated in countless television appearances, and in her books. One of her memoirs, Wishful Drinking, was adapted into a stage show, which Mrs. Primary Ignition and I were fortunate enough to see in Chicago. I’ve always been grateful I got to see that show. That’s the case now more than ever. What you see below is one of the more famous appearances Fisher ever did. She roasted George Lucas as only she could. Much of what she said was pulled from Wishful Drinking. Fisher’s battles with mental illness were well documented. She dealt with bipolar disorder, and addictions to both cocaine and prescription medications. But to her eternal credit, she never shied away from them. She even turned them into a semi-autobiographical novel, Postcards From the Edge. Mental illness still has a stigma in 2016, but we’ve broken a lot of ground in terms of understanding and tolerance. But Postcards came out in 1987. Imagine the courage it takes to open yourself up to the public like that when everyone knows your face. As someone who’s dealt with mental illness himself, that’s a tremendous thing to see. Especially from someone you watched when you were a child. I’m not sure if I’ll end up with a son or daughter someday. But as much as I’d want a child of mine to be inspired by Leia’s bravery, it’s more important that they be inspired by Carrie’s. Whether it was the world’s perception of mental illness, the rules for women in Hollywood, or the injustice of ageism, Fisher refused to keep quiet. More than anything, she was honest about the world in front of her. That honesty made people uncomfortable at times. But we were better for it. The world was better for it. I’m a Star Wars geek. I probably always will be. While I understand what people who love Princess Leia are feeling right now, it’s important to keep things in perspective. Leia is a character in a space fantasy. The woman behind her was someone who endured real hardships, and overcame real obstacles in the real world. But in spite of it all, she never lost her wit, her humor, or her will to go on. In the end, Carrie Fisher was the real hero. This entry was posted in Opinion and tagged ABC News, Carrie Fisher, Carrie Fisher dead, Carrie Fisher death, George Lucas, mental illness, Mrs. Primary Ignition, Postcards From the Edge, Princess Leia, Rob Siebert, Star Wars, Star Wars fans, Wishful Drinking on 12/27/2016 by primaryignition.